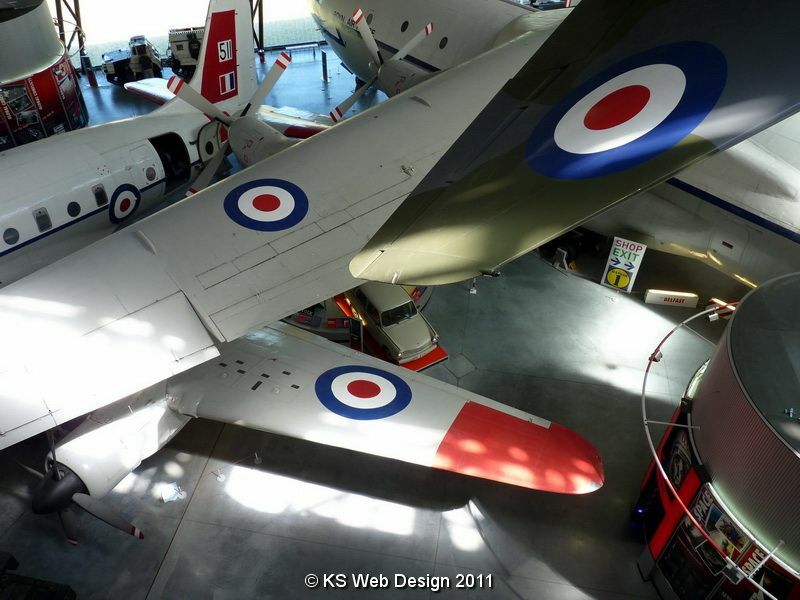 We recently visited the RAF Air Museum at Cosford, Shropshire, this is the second time I have visited this attraction in about 18 months, Entrance is free to the museum, though you do have to pay for car parking charges are £2 for upto 3hrs and £3 for upto 8hrs, there are also donation points around the museum. There are around 70 planes on display throughout the four hangers, there is also the visitors centre with gift shop, cafe etc. Upon entering the first hanger there is a very interesting display, charting the history of aviation. I myself aren’t that much into planes but it is great to see the planes up close, as there are planes from all different era’s. Kids will love it especially boys, for the children there is a special area called “fun n flight” this is an area for kids as well as adults 🙂 to play around with different science experiments from wind speed, air pressure, fibre optics etc, this place does keep the kids amused. With all the different planes and other vehicles on display there is loads to look at, with each plane there are information boards telling you information about that plane. these are very informative. within some of the hangers there are audio visual displays about different subjects including the cold war again these are very informative. The one display I liked was the full size airfix model of a spitfire that top gear’s James May built for his program “James May’s toys stories” I would recommend going to the top of the cold war hanger “the very unusual shaped hanger” as the last time I went I didn’t realise off the first floor that you come into that hanger the lift went to the top, not just down, from the top you get a great view of the planes suspended from the hanger ceiling. One on the displays I also found interesting was of all the different types of engines over the years that were lined up. With around 70 planes on display you will find something that will interest you personally, on certain days throughout the year they have special events going on, see there website HERE for details and different events. We spent just under three hours around Cosford this time, the last time was about the same, I would recommend taking a packed lunch or buying food there and slit the day up if you have younger children as they do get board going around especiallyif not that interested in the history of the planes. It is well worth a trip to the museum a thoroughly enjoyed both trips I have had to the museum and probably will go again. Below are some of the photos from the day, click to enlarge any image.